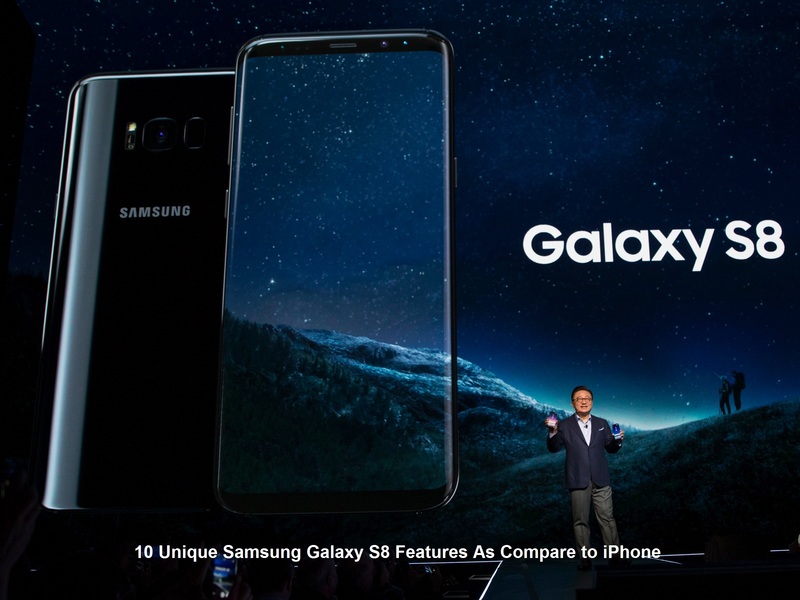 Samsung Galaxy S8 Smartphone is full of stuff which you won’t find in the iPhone any model, in this article we have collected the recently launched Samsung Galaxy S8 Unique Features As Compare to iPhone. 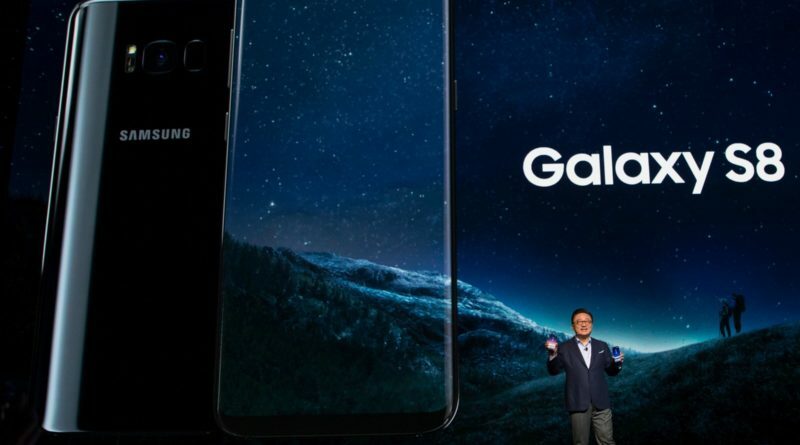 Samsung’s latest Smartphone model Galaxy S8 recently launched in the market. Samsung’s Galaxy S8 Smartphone is an impressive handset and packs with impressive set of features and functions and cutting edge technology. Samsung Mobile company believe that it’s more secure than a fingerprint sensor. The iPhone companies handsets have only a fingerprint sensor. Facial recognition feature is much faster & secure than using the iris or fingerprint scanner. In comparison with iPhone: The iPhone 7 has a 4.7-inch screen and the iPhone 7 Plus has a 5.5-inch screen where in Samsung Galaxy S8 has a 5.8-inch screen and S8+ has a 6.2-inch. The iPhone does not have such feature like wireless charging. In iPhone There’s also no fast-charging option only normal charging speed. Fast charging save your precious time and nowadays time has great value. Apple company famously removed the standard headphone jack from the iPhone 7, if you want to use headphone in iPhone 7 then you must have to use a dongle if you want to plug in your wired headphones. Thanks to Samsung for such easy option. This feature is an older Samsung phone using Samsung Pay, but this same also works in Samsung Galaxy S8. Dear reader you can get a free Gear VR headset if you pre-order for the Smartphone Samsung Galaxy S8 before 21st April 2017. Where Apple’s iPhone can work with some limited brands VR headsets like Google Cardboard, but iPhone doesn’t natively support VR headset. Now you can know your pulse rate round the clock very easily in small steps, because Samsung S8 allow you to know the heart pulse rate through heart rate sensor which is installed at the backside of Samsung S8 handset. Where in iPhone You’ll have to buy an Apple Watch or another accessory if you want to monitor or know your pulse rate. Very good feature in Samsung Galaxy S8 that it can be attach with a monitor, keyboard, and mouse through a special dock and run a desktop version of the smartphone’s operating system on a normal computer. While in iPhone this type of feature is just like only mirror your iPhone screen on an external display. This feature allow to its user to take photos of real-world objects which connect and bring object’s relevant information like shopping links, venue and nearby locations to visit. Where iPhone doesn’t have a smart camera feature like Samsung Galaxy S8 have and other features like software etc.